The shadows of the past linger. They appear as silhouettes on crumbling walls each time lightning bolts slash across the sky. They haunt you as you journey across annihilated cityscapes once teeming with life and love. 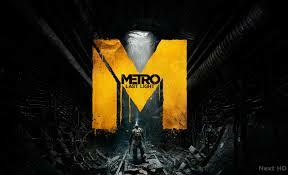 Metro: Last Light is an exceptionally well-crafted first-person adventure that fills your mind with the regrets of time gone by, and understands the fear and uncertainty that arise from silence and stillness. The game's predecessor, Metro 2033, established this series' penchant for mystery and supernatural drama, but Last Light is in a class all its own. It's not just another frightening trek through the dark corridors of the metro, but a rhythmic symphony of surging dread and emerging hope.